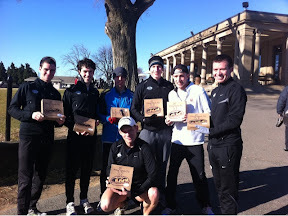 GEORGETOWN RUNNING CLUB: Pies, Presidents, and WIND! Great job guys! run from the Line tomorrow? Yes, the line tomorrow at 9. Who's going to be there? I"ll be there. Shooting for 15 or 16. MCRRC country road 5 miler is tomorrow morning. Geez, you guys ALL ripped it up. Great job! 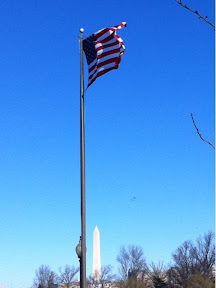 Times like that should make all your flags fly at full attention.